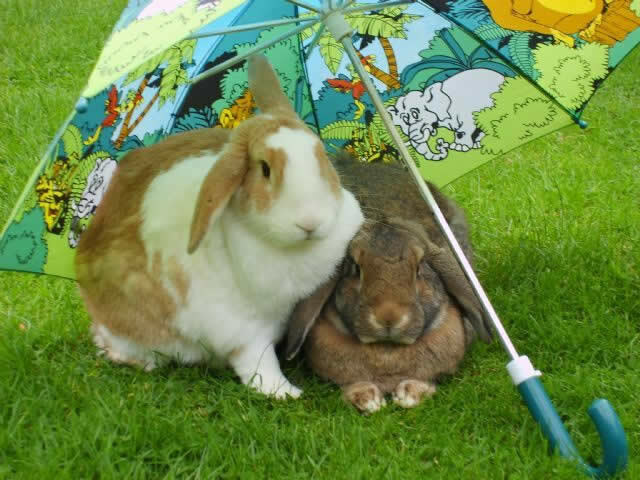 Summer is just around the corner so this is a great time to remind rabbit owners about some potential hazards for their pets. Rabbits make great pets and our understanding of their requirements has improved greatly over recent years. It wasn’t long ago that many pet rabbits were kept in small hutches all year round with minimal opportunity for exercise, social interaction or normal behaviour. There is a far greater emphasis these days on welfare, nutrition and health for our furry companions. Thankfully many rabbits are now given much larger accommodation with runs to allow exercise, fresh grass grazing and some digging as well – all important normal behaviours of rabbits. The gut of a rabbit is highly specialised to allow digestion of grass and hay – a diet high in fibre and low in nutritional content. Fibre is essential for normal digestion in rabbits; it helps to maintain normal motility as well as providing the environment for good bacteria to thrive and produce essential nutrients for the rabbit to use. Excessive amounts of minerals in the diet eg from lots of vegetables, can lead to dental problems, bladder stones and ill health. For these reasons, we recommend a high fibre diet (grass and hay) with minimal amounts of pellets or vegetables. 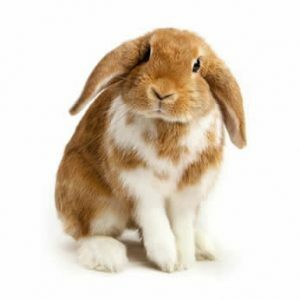 These diseases are prevalent in the local area and can be transmitted to pet rabbits without direct contact with an infected individual so all rabbits need to be protected. Last year a second strain of RHD appeared from Europe and sadly the standard vaccination doesn’t provide protection against this version (Type 2). RHD2 – Luckily there is now a vaccination available to protect against this strain as well and we would strongly recommend adding this protection. The vaccination can be given 2 weeks after the standard vaccination and gives protection for 6-12 months. Speak to one of our vets about the risks from this virus which has been recognised in the Bicester area. Rabbits who get dirty around their bottoms can attract flies which will lay their eggs only to hatch out into maggots. These larvae will start to feed on the secretions of the skin and very quickly will eat through the skin causing a painful and life-threatening illness. This process can progress very quickly and within a day a rabbit can be dead from this condition. Prevention is about keeping your rabbit healthy and clean – good health, good teeth and good digestion all play a part. A sponge on maggot inhibitor can prevent development of flystrike and twice daily checking of rabbit’s bottoms during the warmer months is essential. All this and your payments spread over 12 months – call in to reception to complete your quick application and we’ll do the rest!